Excellent idea. Poor execution. Received the decoy and charged the battery. While at home the next day it worked perfectly. Next morning while hunting before sunrise we put it on the pole and tested it. Didn’t work. Thought that it may not be getting a good connection with the battery. Tried to pull it apart while at home and the “easily” removable body is a joke. Only way to get this product to work is to plug it in at the house and operate it with an outlet. Not sure if anyone else can shoot ducks over a mojo while on the sofa but lve not been so lucky before. 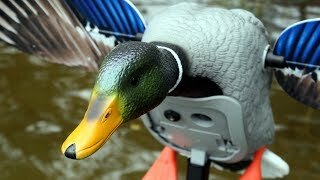 Again this decoy solves the issue with getting the battery out of the decoy no doubt, it is definitely quieter, and it looks great. Although it not being able to work on battery power while in the field is kind of a deal breaker for me. If some of you out there are looking to “upgrade” this season to mojos “king” please rethink your decision. Buy the noisier version they produce and while it will wobble, make a little noise, you’ll bust your knuckles trying to get the battery out, and it’s not as pretty you’ll be able to take it to a duck hole and kill birds over it. Buy the “king” and you’ll have a pretty decoy that you can run in your garage. I’m very disappointed in this product if you can’t tell from the above. Would’ve put 0 stars but it’s not an option. Aaron bell 3 months ago. 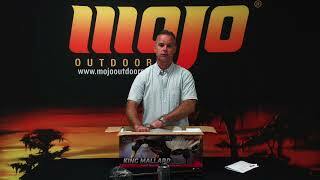 Just received a king mallard mojo as a gift. I followed directions verbatim and went to insert the battery (after a full night of charging) and the contact points didn’t connect flush which didn’t allow the decoy to receive power. Literally never used this product one time and it doesn’t work! Extremely disappointed and if mojo doesn’t send me another I will tell friends and family to STAY AWAY! Holden Smith 3 months ago. We are sorry you are having problems. Customer Service is important to us and we firmly stand behind all MOJO Products. Please send us your email address and we will email you a shipping label so that you can send your product to us. Once received, we will repair or replace it. Thanks for being a MOJO Customer. We want you to be happy and will do all we can to ensure you are! Greg real 4 months ago. Greg. Sorry to hear you are having issues with your King Mallard. 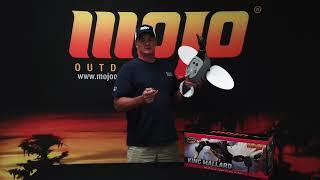 Please submit the problems you have been having at http://www.mojooutdoors.com/contact and our decoy specialists will get you fixed up with either a replacement or a repair! Calvin Leerskov 1 years ago. Left a review the other day that was negative about the King mojo. The president and CEO of Mojo reached out to me today and so did the customer service department. They offered to replace the king mojo with another one at no cost to me however I had already returned it to Ba*s Pro. I don’t think as a consumer you could ask for better service than the CEO taking an interest into every review about a product that they stand behind. I traded the king for the tried and true version that mojo produces simply because I know it works day in and day out. It is great to know that mojo will stand behind everything they produce with such great customer service so my hat is off to all of you at Mojo for that. Please work the kinks out and I will replace the ten that I own with ten king mojos because I know that it will be a better product. @Tommy hancox Just wanted to check to see if you had luck reprogramming the remote on your King Mallard. If not, submit your info at https://www.mojooutdoors.com/contact and our decoy specialists will be able to get you back up and running! 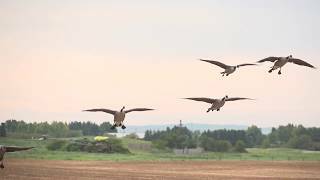 @Brian Did you contact our decoy specialists via contact info provided? Just wanted to check to make sure we got you fixed up with a repair or replacement! @Brian Brian, submit a request through our online contact form, and our we will get you fixed up with a repair or replacement.